I attempted to make gluten free bread from scratch and it was absolutely disastrous. Either this kind of bread naturally tastes awful or I screwed up. Or both. I was merely following the baking instructions on the package and it clearly didn’t work. I ate rolls made from potato starch and it wasn’t nearly as bad so I won’t be publishing that particular recipe. The texture was very dry and the starchiness was too overwhelming. I’ll leave that to the culinary experts on gluten free bread which is obviously not me. If you find such recipe that works, please do share. I made four loaves of this bread and one bite was more than enough for both me and hubby. The problem is I had 3.75 loaves of bread and I didn’t want it all to go to waste. At first, I contemplated on making French Toast but immediately negated that idea. Then a light bulb lit up in my head and I decided on a sweet bread pudding. Since hubby doesn’t care much for fruit, I opted for chocolate. This recipe is dairy but if you want to go for a dairy-free option, you can use soy or almond milk instead. 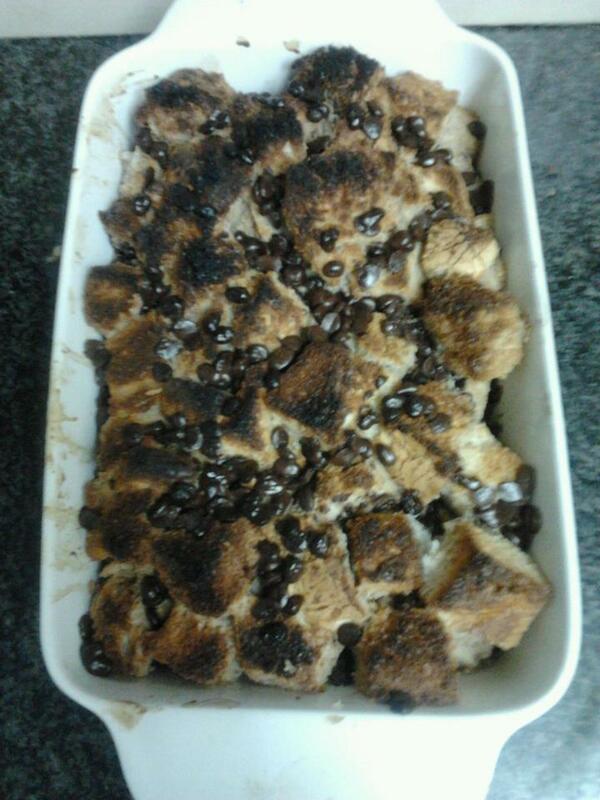 This bread pudding tastes so incredible that you will forget you were using gluten free bread. It can be eaten hot or cold. In a large bowl, whisk together all the ingredients except the bread in order to get a nice smooth mixture. Add the bread cubes and sit to make sure its coated in the custard, let it sit for about an hour. Preheat the oven to 350 degrees. Transfer bread custard mixture into a large greased casserole and bake for an hour or until puffed,golden,and set in the center. This entry was posted in Bread, Dairy, Desserts, Gluten Free and tagged Bread, chocolate, Gluten-Free. Place pasta in a pot of boiling salted water and deduct at least 2 minutes from the cooking instructions. Rinse and drain. Grease a large skillet with cooking spray or with 2 tablespoons of olive oil. Saute onions over medium high flame until caramelized. Add minced garlic and saute for another 2 minutes. Pour in crushed tomatoes and basil leaves. Bring to a boil and season with a dash of ground pepper. Whisk ricotta cheese in a bowl. Add the pasta. Pour in the tomato sauce and mix well till combined. Transfer to an 13×9-inch oven proof baking dish. Sprinkle Parmesan and mozzarella cheese on top. Bake at 350°F covered for the first 45 minutes and uncovered for the remaining 15 minutes. Serve hot. Leftovers can be stored covered in a fridge up to 2 days. 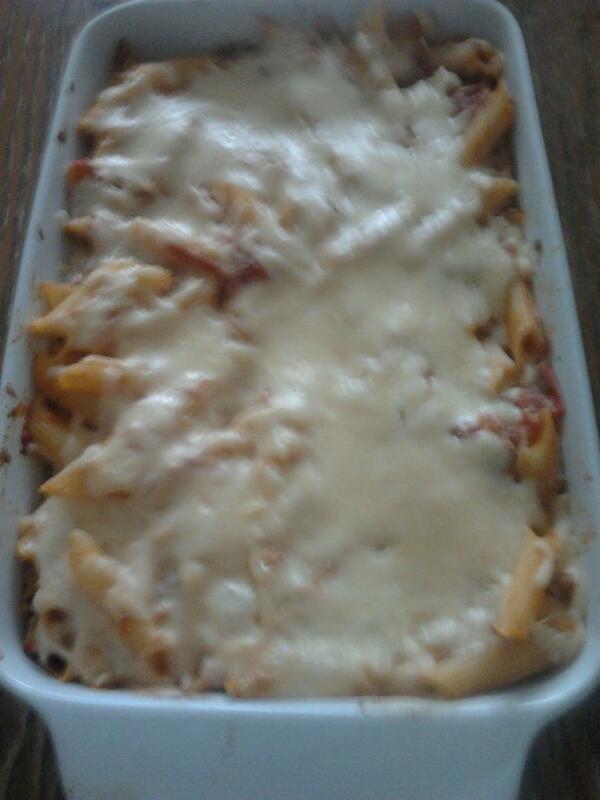 This entry was posted in Dairy, Vegetarian and tagged cheese, tomato sauce, ziti. In a stockpot over low-medium heat, cook the carrots, sweet potatoes and onions in the peanut oil for 7 to 10 minutes; cover and stir occasionally until onions are brown. Add the ginger, curry, tarragon, salt, and pepper; saute for 1 more minute. Add the 5 cups of broth, cover, and bring to a boil. Lower the heat and simmer for 10 to 12 minutes, or until the carrots and sweet potatoes are tender. Turn the heat off. Use a handheld blender or a blender to puree half of the soup. Add the maple syrup and stir. Garnish with chopped fresh tarragon (optional). Serve hot. 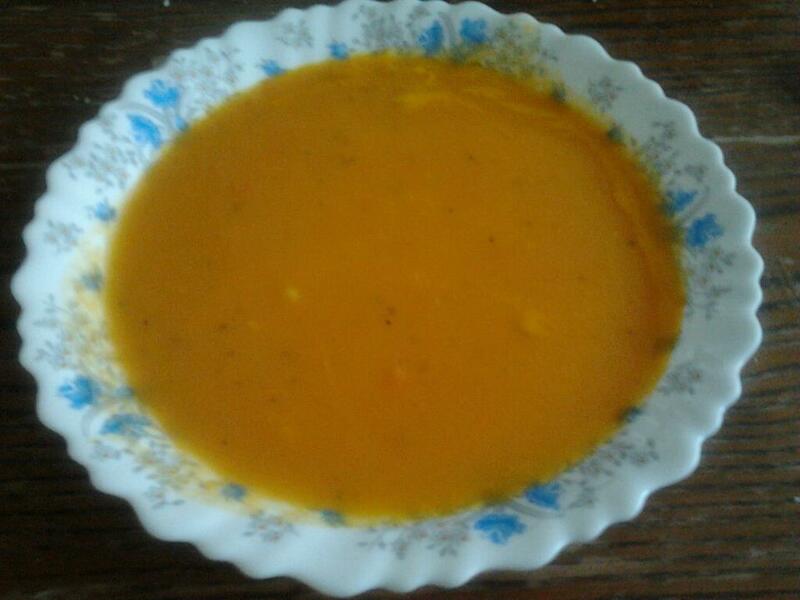 This entry was posted in Gluten Free, Soup, Vegetarian and tagged carrots, creamy, onions, soup. n a bowl combine the first 6 ingredients together and whisk until creamy and combined. Sprinkle your counter with some flour and unfold the puff pastry. With a floured rolling pin, roll the pastry out to about 10 by 10 inch. Cut into quarters and evenly divide the filling placing it in the center of each square. Brush the boarder of the squares with the egg wash and pinch together the 2 opposite corners. Place them on a parchment lined baking sheet and brush the tops with the egg wash. Pop them in the fridge for 30 minutes. Preheat your oven to 400 degrees and bake them for about 20 to 25 minutes or until puffed and golden brown. Set aside and cool. Sprinkle with confectioners sugar (optional). 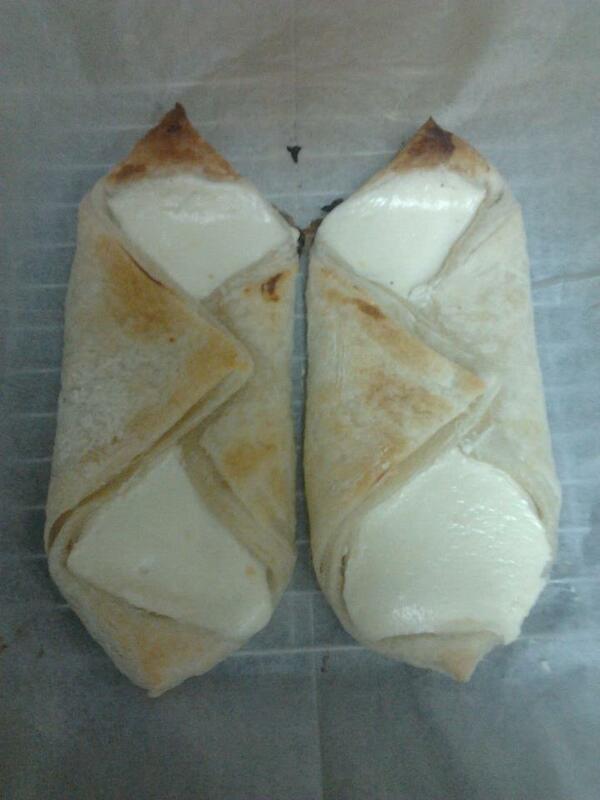 This entry was posted in Dairy, Desserts and tagged Cream cheese, Lemon zest, Pastry dough, Sour cream. Quiche is one of my favorite dairy side dishes. It comes in many varieties. I chose mushrooms because I invariably use mushrooms in most of my dishes except for desserts. A quiche consists of a savory pie crust and a vegetable/cheese filling. Quiches comes in many varieties with many ingredients. There are non dairy quiche recipes and crust-less quiche recipes as well. I tried each on separate occasions and they were very delicious. Certain crustless quiche recipes may require a water bath. Meaning, you place the prepared quiche in a large roasting pan, fill the pan half way with boiling water and bake it that way. A lot of people use this technique with cheese cakes and flans. This method prevents curdling and crackling of the pie. For a non dairy version, you can replace milk and cream with soy/rice milk or non dairy creamer. Some use mayonnaise depending on what the recipe requires for. As I mentioned before, you don’t have to limit yourself with mushrooms. You can use any vegetable of your choice in the market. You can even use a little of each. If you want to make a quiche with mushrooms,onions,broccoli,and spinach, you can do that. While most quiches require a lot of heavy cream and cheese, I tried searching for viable healthy lighter alternatives and my version worked just as well. Generally, quiches are served as breakfasts but they can be eaten as a side dish for lunch or dinner. Preheat oven to 375 degrees F. Grease a large skillet with 2 tablespoons of olive oil or cooking spray over medium high heat. Add onions and saute until translucent. Add the mushrooms and saute for another 5 minutes or until they brown. Sprinkle with salt and pepper and saute for another2-3 minutes until no longer watery. Turn off the stove and set aside. In a large bowl, whisk eggs,milk,leban,flour,salt,pepper,and nutmeg. Fold in the mushroom onion mixture. Pour mixture into a prepared pie shell. Sprinkle with shredded cheese. bake for 45 minutes or until firm in the center. 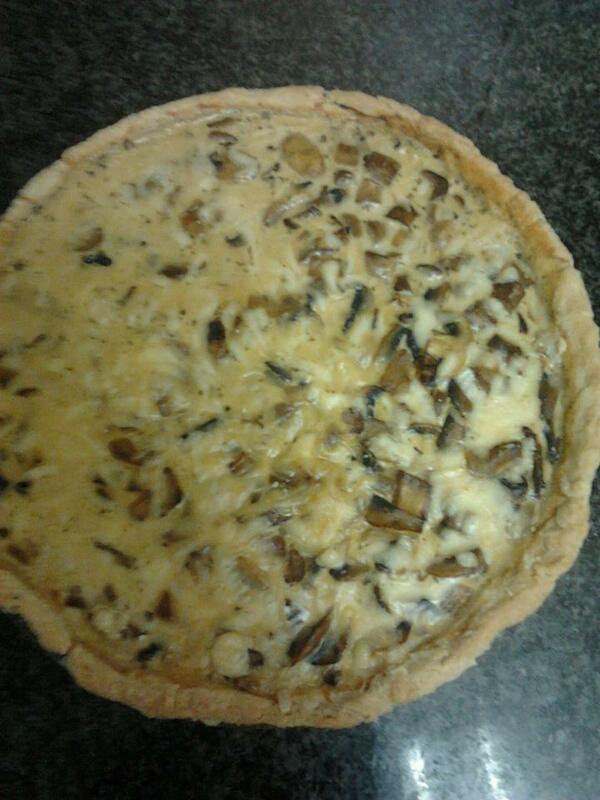 This entry was posted in Dairy, Side Dishes, Vegetarian and tagged Dairy, Mushrooms, Pie crust, Quiche. Carefully follow the cooking instructions on the box of the fusilli. Drain and let it come to a complete cool. Once it cooled down, transfer to a salad bowl. Toss in pepper and onions. In a separate small bowl, whisk mayonnaise,mustard, and lemon juice. Pour dressing into the pasta and lightly toss. Season with thyme, salt, and freshly ground pepper and combine well. Cover bowl with plastic wrap and refrigerate up to 2 hours before serving. Serve chilled. This entry was posted in Salad, Vegetarian and tagged lemon juice, mayonnaise, pasta, Tri-colored. I haven’t gotten around to publishing a recipe that featured blueberries as a highlight ingredient. I had various ideas but it was a matter of looking for a dish that would compliment them (which there many of). Fresh blueberries are hard to come across in my neck of the woods so I bought a bag of frozen blueberries. I may seem like a compulsive shopper but my husband can vouch that whatever I buy invariably gets put into use (with the exception of jewelery which I mainly have for keepsake purposes). Blueberries are grown in clusters and are popular among the Northern American region. Blueberries offer many noteworthy nutritional benefits such as vitamin C which aids the formation of collagen and helps maintain healthy gums and capillaries. It also promotes iron absorption and a healthy immune system. Moreover, blueberries are packed with dietary fiber which helps keep your heart and cholesterol level in check. They are also an are an excellent source of manganese which plays an important role in bone development and in converting the proteins, carbohydrates and fats in food into to energy. Lastly, blueberries contain substances that have antioxidant properties that work to unstable molecules linked to the development of cancer, cardiovascular disease and other age-related conditions such as Alzheimer’s. Substances in blueberries called polyphenols, specifically the anthocyanins that give the fruit its blue hue, are the major contributors to antioxidant activity. You can guess where I am going with this. This entry is about a blueberry pancake recipe. Pancakes come in many varieties. I made chocolate chip pancakes for hubby because he wasn’t too keen on fruit. If you prefer to use other fruit instead of blueberries, then by all means do so. In a large bowl whisk together the flour, baking powder, baking soda, salt and sugar. In a separate bowl, add milk and lemon juice and let it stand for 5-10 minutes. Whisk in egg and oil. Make a well in the center of the dry ingredients and then pour in the egg mixture, all at once, and stir (with a rubber spatula or wooden spoon) just until combined. Do not over-mix the batter or the pancakes will come out tough. If you don’t plan on making pancakes right way, cover and store the pancake batter in the refrigerator up to 24 hours. Heat a large frying pan over medium high heat until a few sprinkles of water dropped on the pan splatter. Using a pastry brush or paper tower, lightly grease the pan with oil (or use a cooking spray). Using a ladle, pour about 1/4 cup of pancake batter onto the hot pan, spacing the pancakes a few inches apart. 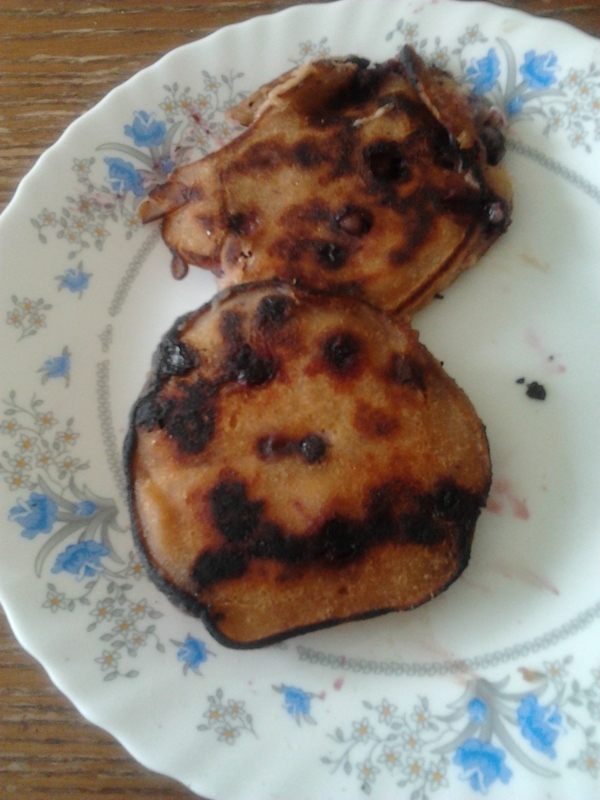 Evenly sprinkle the uncooked tops of the pancakes with fresh or unthawed frozen blueberries. When the edges of the pancakes are golden brown and bubbles start to appear on the uncooked top surfaces of the pancakes (2-3 minutes), turn over. Cook until golden brown (about 2-3 minutes) and cooked through. Repeat with remaining batter, brushing the pan with oil or greasing the pan with cooking spray between batches. Serve immediately with maple syrup or your favorite jam. This entry was posted in Breakfast, Dairy and tagged Blueberries, Flour, Pancakes, Whole grain.